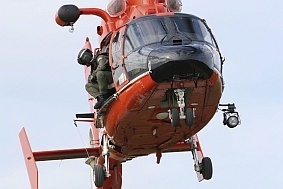 Military customers use SkyRadar’s Radar Training System (Primary Surveillance Radar modules and Secondary Surveillance Radar modules) for their surveillance training. The FreeScopes and the Base Unit introduce into specific radar approaches and include the relevant modes such as Doppler, FMCW or Frequency Shift Keying. All relevant scopes are included (A-Scope, B-Scope, Raw Data Scopes, Plan-Position- Indicator PPI), as well as methods like the Sensitive Time Constant Method STC, Moving Target Indication MTI or Moving Target Detection MTD. The SAR module allows experimenting synthetic aperture radars to increase radar resolution. Remote controlled targets and aircrafts allow to provide sophisticated training. The Security module provides a training environment for electronic counter measures as well as electronic counter counter measures. In addition, the SSR module brings familiarization with the Mark X and Mark XII standard and with Friend or Foe Identification. 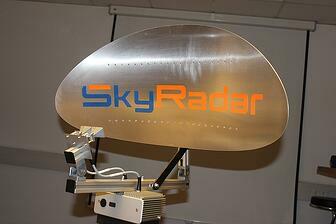 For operational surveillance tasks like border surveillance, SkyRadar provides suitable operational equipement..